A simulation game developed by Spanish studio U-Play online, in which the player can assume the role of an internet vlogger who, while being famous, recalls his first steps in the industry. 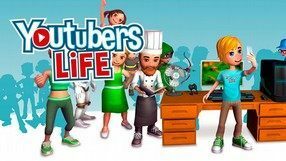 Gameplay of Youtubers Life focuses mostly on creating and publishing videos related to video games, sports, lifestyle or cooking. The player starts their career with limited low-end equipment. While publishing new videos, one must constantly check their popularity and the number of subscribers of the channel, and based on that focus on topics that are currently very hot. As we gain popularity, we can invest in better equipment and faster internet connection. After some time it is possible to hire coworkers and join a partnership. The game contains many side activities as well – one can participate in various parties, hang out with friends and contact other creators. Another edition of the world’s most popular soccer manager game series (previously known as Championship Manager) whose consecutive installments have been released annually for over two decades by Sports Interactive. In the game you become a manager of a soccer team, who competes in league championships in one of 50 available countries. The 2016 edition offers, as usual, a bunch of innovations and changes, the most noteworthy being a realistic injury system and more clear statistics. Business layer features new options, such as calling a press conferences and giving interviews. In terms of visuals, the game added over 2 thousand new player animations. Football Manager 2016 offers 2 brand new play modes: Fantasy Draft, in which you make up your dream team and compete in a fictional league, and Create-A-Club, where you can build your own team by selecting its name, colors, nationality, home city, etc. Another game from the Championship Manager series, perceived as the best football manager in the world, and unfortunately the last one, which was created as a result of cooperation between Sports Interactive and Eidos. The next part of the series of cycling managers, supervised by Cyanide. 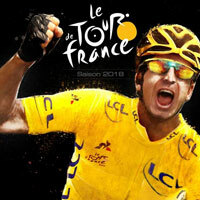 In Pro Cycling Manager 2018 the player's task is to take care of the cycling team, leading to victory in over two hundred races. The eleventh installment in the most popular soccer manager game franchise, originated as Championship Manager back in 1992, and was developed continuously by the British studio Sports Interactive. Traditionally, the game lets you become a manager in one of a few hundred clubs belonging to several dozen soccer leagues from all over the world. As always, there is also an array of innovations and changes. One of the key ones is an option of getting couching licenses and training your team personally. Furthermore, the game introduces new tactical options, new player roles, and individual player shouts. Furthermore, scouts and computer AI were improved. What is noteworthy in terms of visuals, is the new UI, which brings back the side tool bar, and introduces multiple changes in match engine, new animations, more detailed stadiums and player models, as well as enhanced shading and lighting. The next installment of the world's most famous football manager. As in previous versions, Championship Manager 4 has improved the gameplay and increased the already unusual playability. 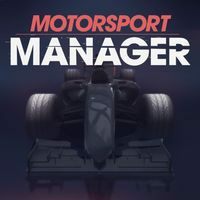 A sports game in which we become the manager of teams participating in Formula 1 competitions. We have to organize our racing stables on the model of the best teams and fight for the victory in the 2000 season. We deal with, among other things, training, construction of new cars and we take care of the financial side of the project. The next installment of the Sports Interactive Football Manager series. Our task is to lead the selected team to the championship. For this purpose, we organize trainings, establish tactics for matches, buy and sell players and take care of the economic condition of the club. Championship Manager 2001/2002 is a football manager produced by Sports Interactive studio, allowing players to lead their own football team. The game allows, among other things, setting pre-match strategies, player transfers and expansion of the club infrastructure. The game database contains information about over 100 thousand players playing in 26 leagues and national teams. The next installment of the famous football manager by Electronic Arts. As in the previous sections, our task is to manage the football club and perform the various duties associated with it. Many improvements have been made to the game, some of which include a better AI for players, a new panel for making sudden decisions, news in the transfer system, a new subsystem for infrastructure development, as well as a number of other minor improvements. Football Manager 2005 is in fact another part of the series of football managers known so far under the title of Championship Manager, and at the same time the first that was created in cooperation with Sports Interactive and SEGA. 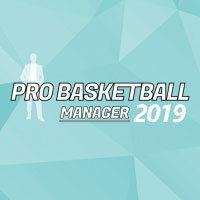 Another part of the popular series of basketball managers, characterized by a high degree of complexity and realism and offering a huge selection of teams, leagues and players. The series has been consistently developed by Umix and Cyanide. Championship Manager Season 00/01 is an extensive football manager, produced by Sports Interactive. The player plays the role of the manager of the football club, and his duties include the transfer of players, expansion of the stadium infrastructure and the establishment of pre-match strategies. The game database contains information about 50 thousand players playing in 26 leagues. The next installment of the football manager from Codemasters. The authors improved the realism of the transfer market, the engine responsible for displaying matches, the news system, the design of all menus and tables, as well as introduced new leagues, the option of creating a virtual manager or playing training games. 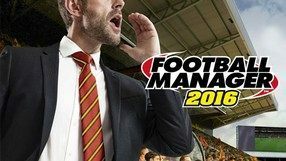 The fifth installment of the cult series of football managers, for the first time created by a company other than Sports Interactive. The authors have introduced many interesting changes, which should satisfy all fans of the series. 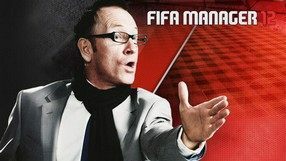 The next installment of the famous football manager by Electronic Arts. As in the previous sections, our task is to manage the football club and perform the various duties associated with it. Compared to the previous edition we get 13 thousand player pictures, a new graphic engine, match forecasting system, the ability to create your own club or lead a national team. In addition, there is an extensive multiplayer mode, improved transfer and evaluation systems. 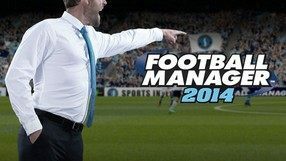 The next installment of a well-known football manager by Sports Interactive. Our task is to manage the football club and perform various duties related to it. The new part introduces a system of agents who help recruit good players, as well as a new training system. The audio-visual setting, user interface and the ability to report on one's progress on social networks have also been improved. The fourth installment of the Grey Dog managerial series, allowing you to test yourself as a professional MMA promoter. The aim of the game is to earn as much fortune on lucrative contracts with the best players and organization of spectacular tournaments. Of course, we must not forget about the form and satisfaction of our guests. Game by the fathers of the Cycling Manager series, allowing the user to feel the atmosphere of horse races, referring, among others, to the famous races in Ascot, Pardubice and Warsaw (S³u¿ewiec). Football Manager 2008 is the fourth installment of a series of football managers, created by the Sports Interactive team on behalf of the Sega concern. As with every new season, this time a group of over a dozen programmers supported by nearly fifty researchers has introduced a number of improvements to its product, which are a response to the most common suggestions from fans of the series. 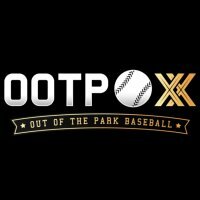 The next installment of a series of baseball managers by Out of the Park Developments studio. The game offers a huge number of real leagues and teams, along with full lists of players, whose effectiveness in the real world is reflected in the statistics of the game. The third installment of an excellent series of football games, created by Sports Interactive studio, with the popular saga Championship Manager or NHL Eastside Hockey Manager. 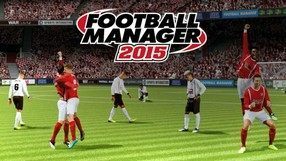 Football Manager 2009 is a continuation of a well-known and valued series of football managers produced by Sports Interactive, a company specializing in this genre. The publisher of this title is the SEGA Group.